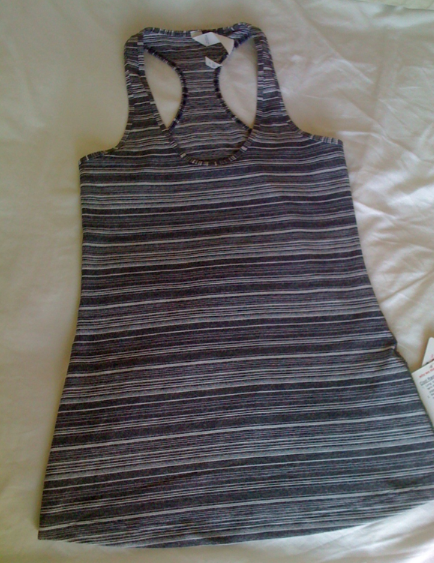 I was really happy to get a message today from a reader telling me she just purchased the Coal Strata Cool Racerback Tank and that it is as soft as running luon and made of almost the identical fabric composition as her Brisk Neck Warmer (I have the neck warmer and it is super soft). 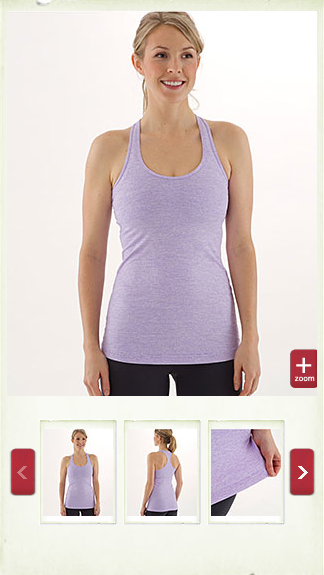 This Cool Racerback Tank is 55% Nylon, 37% Polyester 85 Lycra Spandex. The Neck Warmer she compares it to is identical except for it has 1% less Polyester. Ever since my super soft Heathered Power Purple Micro Stripe Cool Racerback Tank I’ve been reading tags and feeling luon in the hunt for another equally soft tank. My Power Purple one is my go to tank for both running in and lounging around in. I’ve worn it to bed a few times too, that’s how much I love it. I just prefer spending $39 on a tank when I know it’s going to get that much use thanks to it’s softness. I can’t wait to pick this one up when it comes available. "Upload Thursday ~ What Did You Buy?"